This is Panamanian attorney Ismael Enrique Gerli Champsaur. From his law office in Panama City, he reportedly formed 28 corporations, which were used to launder millions of dollars illegally taken from government accounts in Nicaragua. In truth and in fact, Gerli was the lawyer for then-president Arnoldo Alemán, as well as other senior government officials, for whom he assisted in the laundering of the proceeds of corrupt activities. The Organization of American States (OAS), on one of its websites, lists an $82,000 payment, made to Gerli, for his "services." Why isn't Ignacio Gerli in a Nicaraguan prison* ? Because the Republic of Panama generally will not extradite one of its nationals, to face justice in a foreign court, for major crimes they have committed. In Ismael Gerli's case, the influence of his family has insured that he will not be that rare exception; a relative is a former vice president, and another a senior official, and all of them are part of an organized crime syndicate. He is not going anywhere, notwithstanding what Nicaragua wants, thanks to Panama's protection of it own, home-grown, criminals. Unless Panama changes its laws, and requires that its citizens be extradited for serious crimes, when committed elsewhere, the country's roughly one hundred career money launderers will never face justice anywhere. We know that Panama's flawed court system, riddled with corruption as all levels, will not result in money laundering charges being filed. The FATF, whose staff members are in Panama, to ascertain whether the country should be removed from the Grey List, probably knows that by now. You cannot expect that any of the known money launderers, most of whom are practicing attorneys, will ever be changed, let alone convicted. Until this happens, Gerli, and others like him, will be free to engage in the dark art of money laundering. Two senior members of the prominent Panamanian corporate services firm, Mossack Fonseca, have been charged with money laundering in Brazil, based upon allegations that they assisted in laundering the proceeds of bribes and kickbacks, in the country's Petrobras corruption scandal. The Mossack firm is also charged with the intentional destruction of evidence, in a reputed effort to obstruct justice in the investigation. The former presidents of Brazil, and the Organization of American States (OAS), allegedly received bribes, resulting the direction of lucrative business to companies who made the illegal payments. Mossack Fonseca, through a Public Relations aide, on the company's website, has denied the allegations. No evidence has been published at this time though the names of corporations created by Mossack, and used to purchase real estate in Brazil, have been disclosed to the press. Panama's corporate service firms have long been suspected of moving illicit client "flight capital" into the country's banks, often smuggling in bulk cash on their own aircraft. Though Panama law requires that only attorneys and law firms can be resident agents for Panama corporations, there is generally no attorney supervision of clients, and little, if any, due diligence performed on customers, other than a perfunctory OFAC check. The issuance of a Poder (Power of Attorney), to a third party, to conceal the beneficial owner of the bearer share companies, is a normal procedure, further obscuring any effective money laundering investigation. Panama watchers will be closely observing the parallel Panamanian law enforcement investigation in Mossack, which was opened after the news of the Brazil case broke, as corporate service firms in Panama have traditionally not been targets of law enforcement investigation, or adequate government regulation. The massive amount of government corruption, being revealed at the trial of the former TCI Prime Minister, is a signal to compliance officers to make a major upward adjustment in Country risk for the British Overseas Territory. The scale of the bribes is frankly enough to cause professionals to tell investors and developers to give TCI a wide berth at this time. Many companies seeking government approval for large resort and real estate development projects were forced to pay huge bribes to senior government officials, their political parties, or their immediate family members. The risk is not only a violation of UK, US or Canadian laws, but that subsequent disclosure of the illegal way in which approvals were granted will result in their revocation, causing a total loss to the foreign investment company. Another way that the corrupt TCI officials made an illicit profit was to first purchase and later resell, prime properties needed by developers. There appears to be no end to the bribes & kickbacks these greedy politicians, and their associates, reaped over the past two decades. Also, it might be appropriate if American-based credit card issuers take note when PEPs runs millions of dollars through his or her card, when their salaries are nominal. The Prime Minister reportedly pushed $5m through his American Express Centurion Card. The Centurion is only for those who spend more than $250,000 annually, and it is by invitation only. One individual in Compliance at American Express was clearly not doing his job in monitoring PEP activity in the Turks & Caicos. No PEP should ever qualify for a Centurion Card, gentlemen, unless his salary, or inherited assets, or prior legitimate business earnings, justify it, in my humble opinion. Please advise clients that, due to the out-of-control corruption at the Turks & Caicos Islands, you recommend that they avoid it, lest they get burned, down the road, when their investment loses its required approval, after they have sunk millions into it. Although both Mendes, and Gang of Four ringleader Sharon Lexa Lamb, both claimed that his position, at B & C Capital, Ltd., and Bateman and Company, was that of a low-level employee, the documents uncovered thus far, in the investigation of the $450m theft of investor money, prove that Fernando Moto Mendes had the preeminent role in laundering the stolen capital in the Cayman Islands. Mendes is the only member of the Cayman Gang of Four who has not fled the jurisdiction, most likely because he no longer has a valid passport from his native Portugal. 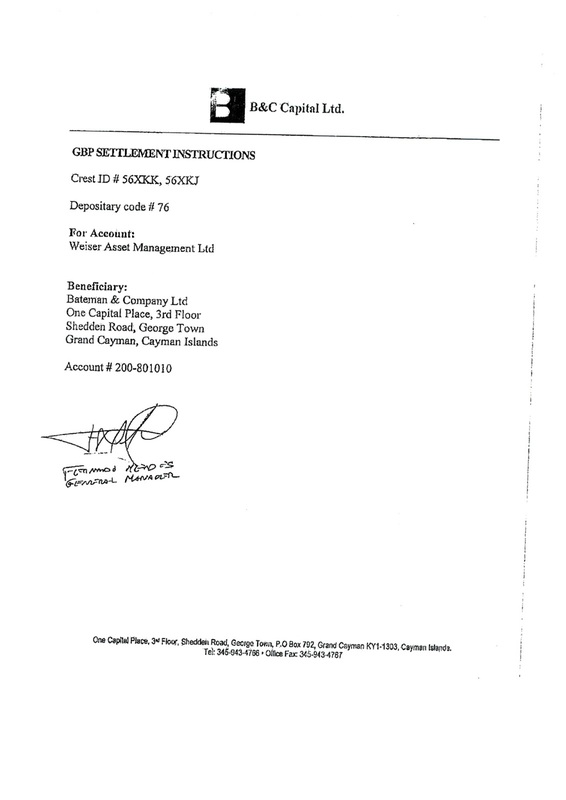 As the accompanying documents show, Mendes acted, and, upon information and belief, continues to act, as the "General Manager" of the Bateman group of shell companies. 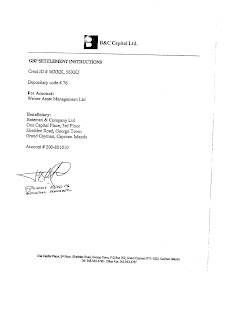 the documents prove that he acted in that position, and took possession of liquid assets stolen from Canadian & American investors, who thought that their money was safe in special accounts under their names, at Butterfield Bank (Cayman) Limited. Other sources state that Mendes openly held himself out to be the Managing Director of the companies of the Bateman Group. Ryan Bateman himself was a fugitive from justice at that time, and he remains a wanted man in the Cayman Islands. Mendes' signature is the only one on the documents. 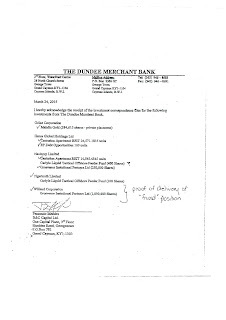 The Dundee Merchant Bank document, which was prepared at the time that the bank was inactive, appears to have been prepared by, and signed by, Mendes. 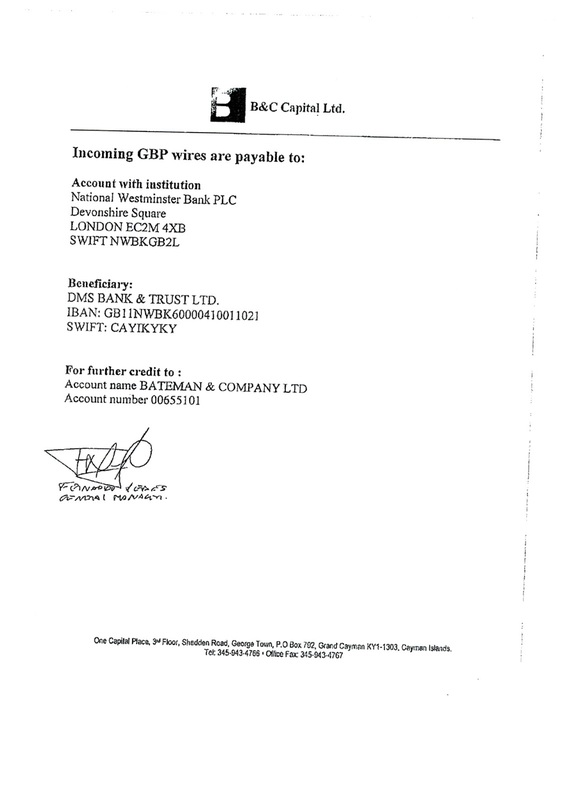 The transfers shown here, which state that the Bateman company was the beneficial owner, and which were prepared by Mendes, and not someone at Dundee Bank, resulted in the theft of hundreds of million dollars by the Cayman Gang of Four. Fernando Moto Mendes' actions, on their face, constitute fraud, money laundering, and breach of a fiduciary relationship. The ultimate transfers, by Mendes, of the funds, to several other countries, including the Bahamas and the United States, also exposes him to similar charges in those jurisdictions. If you have a case in Federal Court, or intend to visit any Federal government agency this week, you had best determine first whether you may have a problem getting there. Palestinian and Arab organizations have publicly stated that they plan to picket, and otherwise disrupt, Federal buildings throughout the United States this week, and possibly next; The reason for these protests will disturb you. The protests involve the participants' support of a convicted Palestinian terrorist. Rasmieh Odeh, a Jordanian national convicted in Israel of two homicides that occurred during a terrorist attack, and who spent a decade in prison, serving two life sentences, until her early release, was convicted of immigration fraud, when she lied about her criminal past when entering he US, and later, when applying for American citizenship. Odeh was sentenced to eighteen months' imprisonment, and revocation of her US citizenship, by a District Court Judge in Michigan; her appeal, which does not appear to have any significant legal merit, is pending, and a decision is expected this week. She will be required to surrender at that time, and Palestinian activists have enlisted a number of radical groups to assist in a planned massive protest at that time. Watching Palestinian protests, in support of terrorists, in Israel, is one thing, but Americans are about to face such acts in their own country, and the disturbing thing is that radical American organizations plan to support these protests. Has everyone forgotten the lessons of 9/11 after fifteen years ? Having lost the appeal to the Fifth Circuit that he had as a matter of right, convicted Ponzi schemer R Allen Stanford, has only until April 19, 2016 to file a Petition for a Writ of Certiorari, to the United States Supreme Court, which is the court of last resort for Stanford. The appellant's 110-year sentence means that he will die in Federal custody, and not survive his release date, which is in the next century, in 2105. A motion intended to revive to his failed appeal was denied on January 20, 2016, and the 90-day filing period deadline period therefore begins to run from that date. Inasmuch as Stanford diligently exhausted each and every avenue available to him at the Fifth Circuit Court of Appeals, you can expect that he will attempt to get the attention of the highest court in the country, though the chances that the Court will agree to hear his case are extremely slim. Only a small fraction of the petitions filed each year are granted. His case does not appear to be one where the appeals court decision conflicts with those of other circuits, nor decides an important Federal question that conflicts with other decisions. A petition for a Writ of Certiorari is seldom granted in those cases where the Court made erroneous findings of fact, or where it failed to properly apply the rule of law. Ismael Gerli Champsaur, the lawyer whose presence is required in Spain, to answer some tough questions about why he perjured himself, in giving false testimony about his claims that Vladimir Kokorev had engaged in money laundering in Spain, a decade ago, has recently turned up in his native Panama. It is believed that he was engaged elsewhere. Eyewitnesses have reported that he was involved a business transaction in Panama City a couple of days ago. Gerli, who is also wanted on money laundering charges in Nicaragua, and is a person of interest in another case in Spain, regarding a multi-million Euro fraud, is also under investigation in Russia, and the Ukraine. He is facing two different criminal charges in the Republic of Panama that we are aware of, and there are probably a number of civil suits as well, for fraud, especially involving the conversion of bearer shares, appears to be his chosen field. Readers of this blog are warned to avoid any transactions where he appears, in any capacity. Lawrence Heath, the retired Canadian attorney and Queen's Counsel, has responded to the counterclaim filed in his Grand Cayman suit against Sharon Lexa Lamb and Dundee Merchant Bank, in the $450m Cayman Gang of Four investment fraud scandal. Lamb has alleged that the plaintiff defamed her, by assisting media in publishing untrue information about her, damaging her reputation,,and damaging her business. Mr. Heath, in reply, through his attorney of record, has responded by asserting that there is no factual or legal basis for her claim. He denies any involvement in media coverage, and denies that any of the published statements or material originated with him. (1) That there were forgeries of his signature on transfer documents given to him by Sharon Lexa Lamb. (2) That Mr. Heath notified the Royal Cayman Islands Police Service of the loss of his money, and his specific concerns about fraud, after speaking repeatedly, and also personally, with Ms. Lamb, to no effect. (3) That Mr. Heath had told several others that he was having difficulty obtaining withdrawals from his accounts; he learned that he was not the only investor experiencing excuses. (4) That Sharon Lexa Lamb told Mr. Heath that she wanted a document. granting her complete immunity, before she would release any money to him, from his accounts. (5) That financial documents of his accounts, provided to him by Lamb, had major discrepancies. Mr. Heath also has stated that, even if the defendant can prove up defamation, he is not liable to her at law. Whether the counterclaim was filed purely for dilatory purposes, to delay the entry of a final judgment on plaintiff's claim, which alleges a criminal breach of Lamb's fiduciary responsibility, will be decided by the court in the course of the proceedings. 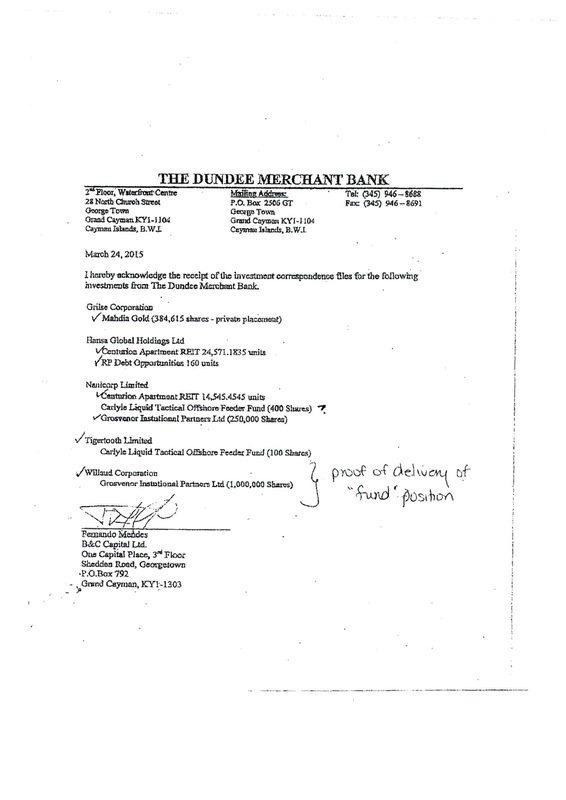 According to the codefendant, Dundee Merchant Bank. Lamb was fired by the bank more than two years ago, but she continued to hold herself out as a bank officer, and actually answered the defunct bank's telephone with "Dundee," misleading callers as to her apparent authority. it was during that time that over $450m was transferred to the control of the fugitive Canadian stock trader, Ryan Bateman, who held out to US and Canadian banks that the money was his, as verified by Sharon Lexa Lamb, posing as a Dundee bank officer. José Ayú Prado, the Chief Justice of the Supreme Court of Justice of Panama, the country's highest court, declined calls to step down, notwithstanding multiple ongoing corruption investigations, and actual cases, in a judicial situation that can only be described as chaotic. He was ultimately suspended, but refused to leave office. Many prominent individuals in Panama have called for the resignation, and replacement, of all the Justices, due to allegations, many already proven by compelling evidence, of rampant corruption. The Court is regarded by lawyers in North America as a quagmire of corruption, where bribes and kickbacks, to purchase or delay justice, are the order of the day. One of senior judges, who has stated that many decisions of the Court were illegally influenced by the former president of Panama, Ricardo Martinelli, has been criticized by the remaining justices, including Ayú Prado, who has arrogantly demanded that proof be produced. The Supreme Court is in disarray, and the agency that is responsible for discipline in the Court appears to be toothless, and powerless to act. Foreign investors and financial institutions are no longer considering extending credit, having a client invest, or making any financial transaction with a Panamanian company, where there is a receivable involved. The risk levels at this time are deemed to be to elevated to conduct any international business transactions into, or through, the republic of Panama. Indian media have reported that two Iranian nationals, detained in India with counterfeit Israeli passports, which were manufactured in India, intended to use them to enter the United States. 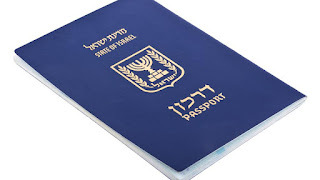 The articles do not specify whether the Iranians were using bogus pre-2003 non-machine readable versions of the Israeli passport. In 2014, Kenya sentenced two men to 2 years in prison for attempting entry with counterfeit Iaraeli passports. The Principality of Hutt-River, a self-declared micro state composed of a wheat farm in Western Australia, has never been recognized by anyone as a sovereign state. Its founders rely upon their interpretation of a historical oddity: that Great Britain allegedly never specifically declared the area as its territory. It reportedly has been ignored by the Government of Australia, and is basically a tourist destination, a curiosity. Nevertheless, where even a bogus jurisdiction exists, in the mind of its founders, sleazy lawyers working the offshore scheme usually jump on it, and seek to vend companies claimed to be in tax-free states. 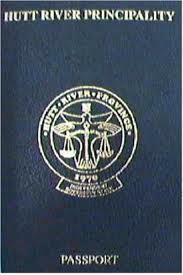 The fact that Hutt-River is a part of Australia seems to be forgotten by these attorneys. I bring this up because one of the more slippery Panamanian lawyers that we have been covering of late, Ismael Gerli Champsaur, represents that he is the Honorary Counsel of Hutt-River Principality. He first made such statements, reportedly calling himself a diplomat, in connection with claims he made, on behalf of a company that sought to corner the market on a kitchen appliance in Eastern Europe, by asserting that his client had the exclusive trademark of a common term. That makes him what we generally refer to as a "trademark troll," and if you are familiar with the antics of the dodgy Texas Lawyer, Jay Mac Rust, called a Patent Troll by both victims, the State of New Hampshire, and the FTC, you know that Gerli's actions constitute fraud. Gerli, who is a defendant in a criminal fraud case in the Republic of Panama, a wanted man on money laundering charges, in another Central American jurisdiction, and believed to have stolen millions of Euros in a fraud committed in Spain, has not been seen around Panama City of late. Additionally, the Spanish authorities want to see him on charges of giving false witness in a criminal money laundering investigation. One must also assume that, given Gerli advertises the availability of global tax-haven services, he has sold eager client Hutt-River corporations, as fast as he can pocket clearly excessive fees. Should you come across any Hutt-River entities, or trusts, be advised that they are a legal nullity, due to the non-existence of the micro state purporting to authorize them, the Hutt-River "corporation statutes"notwithstanding. Dual citizenship with Hutt-River is also bogus. Holder of those entities may also have unwittingly conferred jurisdiction of the Australian tax laws upon themselves. Please steer clear of any Hutt-River companies that are presented to you, for it will only end badly for any banker who accepts such bogus entities; You should also avoid Sr. Gerli as well. 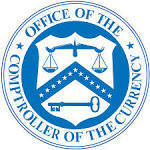 One of the major issues that I have with US government agencies that enforce financial institutions' compliance with BSA/AML laws and regulations is the fact that the public release of some documents mysteriously get held up for weeks, or even months, before compliance en officers can learn about Cease & Desist Orders, or stipulated agreements to fix major AML/CFT deficiencies. This policy may keep the financial media from publishing negative news about a specific bank, which helps the bank's reputation damage restoration staff, but it puts the compliance world at a distinct disadvantage: we do not know who the offending bank is, and conduct ourselves accordingly. Last week, a major news service got its hands on an agreement, between the Bank of China Ltd., and the Office of the Comptroller of the Currency (OCC), and detailed how the bank has been named, for failure to file suspicious reports, and other BSA sins and transgressions. I cannot find one on the OCC website anywhere, because its release has been intentionally delayed. The back story, or course is serious: the bank finally complied, under duress, in disclosing the names of account holders suspected of conducting massive global counterfeit goods operations. A US District Judge, in New York, had fined it $50,000 per day until it obeyed a court order. The bank's shortcomings obviously needed to be made public, yet the OCC has delayed the public release of its agreement with the bank; That is just plain dangerous to the financial community. It is critical that compliance officers know about regulatory actions, when imposed, in real-time, so that they can notify their staff to take precautions. Otherwise, bank clients who are financial criminals can easily move their operations, from the sanctioned bank, to other banks, who are not privy to the regulatory sanctions. The Ponzi schemer, Allen Stanford, whose appeal to the Fifth Circuit, of his criminal conviction and sentence, was unsuccessful, has lost his final bid to have that Court hear his case. His Petition for a Rehearing En Banc, meaning by all the judges of the Court, was denied. The Court treated his application as a Petition for Panel Hearing, and ruled that, since no member of the panel, or a judge in regular active service of the Court, had requested that the Court be polled, on the Rehearing En Banc, his petition was therefore denied. Stanford has now exhausted his appeals as a matter of right; the only option left to him now is filing a petition for a Writ of Certiorari, to the United States Supreme Court, where the chances that the Court will hear his case are statistically very remote. Swiss media has exposed details of a secret 1970 agreement, between the Government of Switzerland, and the Palestinian Liberation Organization (PLO), which was, at that time, engaged in committing violent terrorist acts throughout Europe, and was regarded as a terrorist organization. Switzerland concealed the agreement from the European Union, and the United States, which, had they known of its existence, might have severely affected diplomatic relations, for the Swiss provided assistance to the PLO, in exchange for a moratorium on terrorist acts within its territory. Though all the details of the covert agreement are not known, as they reportedly are classified until 2020, Switzerland provided extensive diplomatic assistance to the PLO. Cash payments, which the West certainly regards as providing material support to terrorism, are believed to be one of the benefits included. One other is allowing terrorists to maintain bank accounts, and conduct their business, which gives rise to a number of terrorist financing issues. Some compliance officers may regard this latest black eye on Switzerland, following as it does the tax evasion scandal involving US taxpayers, as sufficient evidence to raise Country Risk. The issue of whether the Swiss have also cut deals with Specially Designated Global Terrorist (SDGT) groups has come up. Should US corporations conduct business with Swiss entities which are fronts for terrorists, not knowing their true beneficial owners, or illegal aims and goals, due to Swiss facilitation and cooperation, risk levels must rise. Americans, many of who family members served in the Second World War, and still are disturbed when more details emerge about Swiss financial cooperation with Nazi Germany, will not be happy to learn that the Swiss Government chose to cooperate, facilitate, and finance, terrorists, fifty years ago, and such cooperation is most likely ongoing. Swiss bank accounts for terrorists does not go over well, even fourteen years after the events of 9/11. Ryan Bateman, the fugitive Canadian stock trader who walked off with at least $450m of investor accounts, and who is wanted in the Cayman Islands, has returned to one of his favorite haunts, the Republic of Panama. Bateman and his brother Cody own an unlicensed wealth management company that has run afoul of Panama's law in the past. 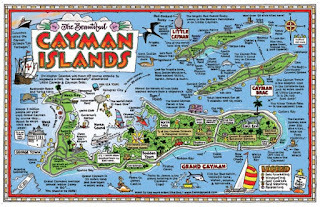 Bateman made millions of dollars of unauthorized trades, in the United States, with money stolen from North American investors who thought their money was safe in Butterfield's Bank, in Grand Cayman. He is a member of the Cayman gang of Four, who other crew are Sharon Lexa Lamb, Fernando Moto Mendes, and Derek Buntain, all of whom were connected to B & C Capital, Ltd., Bateman's"exempt" shell company that illegally moved the victims' investment capital. He had been keeping a low profile in Fort Lauderdale, Florida, trying to maintain his interests in oil exploration contracts he claimed to won in the Bahamas, but Opposition leaders in Nassau exposed his checkered past, and arrest warrant, which he disputed, though he remained in Florida, and did not personally appear in the Bahamian capital, to assert his disputed claim. Some sources have alleged that Bateman is looking for damaging information, to employ against the whistleblowers who have investigated his activities, and as many of his victims as he can gather dirt upon, to smear them and "shoot the messenger," when he is cornered. His crimes in Grand Cayman have drawn the attention of many Canadians, particularly those in Alberta, where he fled from a securities fraud scheme, and relocated his sleazy stock trading scheme in the Caymans. It is also noteworthy to remember that the Panamanian attorney, Ismael Gerli, who is suspected of multiple links to the Gang of Four, and may have worked with a B & C Capital staff member, to move some of the stolen money, works and resides in Panama. Gerli has not been seen in Panama City of late; he is a defendant in at least four civil suits, and two criminal cases filed against him, by Russian businessman, Vladimir Kokorev, and his Panama attorneys. Is Bateman in Panama City to spawn a new massive fraud, or merely hiding out from process servers, or law enforcement agents, seeking to detain him for extradition ? we cannot say, but we will continue to update our readers, as we remain on the trail of the elusive bandits, the Cayman Gang of Four. Remember HSBCs billion dollar sanctions case ? The court-appointed Monitor released his First Annual Follow-up Review Report, which details HSBCs progress in creating and maintaining an effective AML/CFT program, but you will not be allowed to see it. When a private citizen requested that it be unsealed, both the Department of Justice, and HSBC attorneys, weighed in with multiple objections. 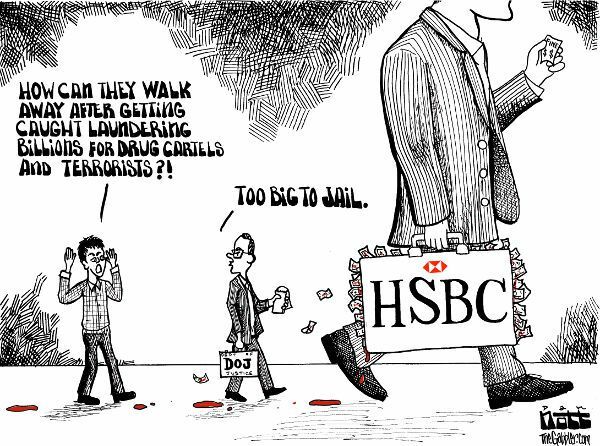 He asserts that the report will validate his claims that HSBC is in direct violation of multiple sections of prior consent decrees. 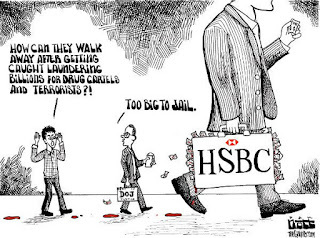 (1) HSBC: If the details of our AML improvements are made public, then money launderers, and other financial criminals, will be better able to penetrate our defenses; Hogwash. Experienced money launderers utilize techniques that you have not yet discovered, let alone developed defenses to. (2) DOJ: If we open the details to public scrutiny, those foreign jurisdictions ( read this as: tax havens) who have cooperated with us in the past, regarding HSBC, may choose to cease their cooperation. So what ? First, by the way, the DOJ asserted that the Report was not a "judicial document," and therefore, it did not have to be disclosed in the court file. Does this sound like splitting hairs, for the sole purpose of denying transparency ? You be the judge, but I am personally disgusted that DOJ succeeded. The trial judge reserved ruling, meaning that he may never make a decision on the issue. Experienced compliance officers know that HSBCs AML violations, in many jurisdictions, and over decades, are legion. For it to hide behind a sealed document, means that it is business as usual; opacity remains the order of the day. The traders who illegally used inside information to take massive profits in the Petequilla Mines scandal will not be charged, according to a reliable source in the Republic of Panama. Using the Financial Pacific brokerage house to acquire, and later sell, their holdings, the fraudsters who participated will not now be subject to criminal prosecution in Panama City. (1) Former President of Panama, Ricardo Martinelli. (2) Most of Martinelli's ministers and cabinet members, and his sons. (3) The Alaskan expat & fraudster, Gary Lundgren a/k/a Gary James Lundgren. (4) The vast majority of the leaders of Panama's Middle Eastern organized crime syndicate. The victims, who were mainly Canadian and American investors, who purchased the gold mining stock at grossly inflated prices, after information regarding favorable mine discoveries was made public, lost everything, when the stock tanked, upon the subsequent release of negative, more realistic news. The fraudster had previously made major purchases of the stock, based upon their access to non-public information, reportedly made available to them by then-President Martinelli. It is believed that the reason for the "hands-off" policy on criminal prosecution is the fact that members of the present, so-called reform Varela government, also took illegal profits, and their role would be exposed in any serious criminal prosecution. The case demonstrates that the government system in place in Panama will protect its fraudsters, and ignore victims who are foreign nationals. Thus should be taken into consideration, when considering making any financial investment, or any sort, in the Republic of Panama, opening any business enterprise there, extending credit of any type, or deciding whether to advise a client to reside or retire there. Remember MoneyGram International, inc., and its $100m fine for failing to create, maintain and operate, an effective AML program, and for other BSA deficiencies ? Its Chief Compliance Officer, Thomas Haider, drew a $1m fine, for willful conduct, and an injunction against working in a financial institution again. I am a firm believer in allowing aggrieved parties unfettered access to our court system, but, when Treasury sought to reduce the fine to a judgment*, Haider, in what must be the height of arrogance, and in the face of competent evidence of his compliance malpractice, or negligence (you decide), his counsel moved to dismiss the Federal lawsuit against him. His lawyer interposed Procedural Due Process and Grand Jury issues, as well as asserting that there was no personal liability for the BSA violations. The District Judge, in a 13-page ruling, held that the unambiguous language of the law showed that Congress had intended that there be personal liability for violations of the Bank Secrecy Act, or its regulations. The Court declined to rule on the issue of the injunction at this stage in the case, and failed to agree with Haider's counsel's minor arguments, or postponed entering a ruling. The case will now proceed to trial; the pretrial conference has already been set for February 9, 2016. You probably have a pretty good idea of the likely outcome. Therefore, the next time that senior management attempts to strong-arm you into fatally weakening any major component of your AML/CFT program, remember what happened to Thomas Haider and Harold Crawford. You remember Mr. Crawford's case, I trust. *US Department of the Treasury vs. Thomas E Haider, Case No. : 15-cv-01518-DSD-HB (D Minn). Last August, when the news broke about the $450m financial theft in the Cayman Islands, where the individuals now known as the Cayman Gang of Four stole the accounts of Canadian & American retirees and pensioners, we then asked this question: Should we raise Country Risk for the Cayman Islands ? (1) The hands-off policy of the Cayman islands Monetary Authority, CIMA, has been utterly disgraceful. CIMA has not only improperly alleged that it has no jurisdiction, it has obstructed and impeded the investigation of the case by foreign regulatory agencies. The fact that a B Class bank, and an exempt corporation (without the required licensed professional) masqueraded, in writing, as a bank, are involved in criminal activity, and CIMA has ignored its statutory responsibilities, greatly contributes to our decision to elevate Country Risk to high levels. 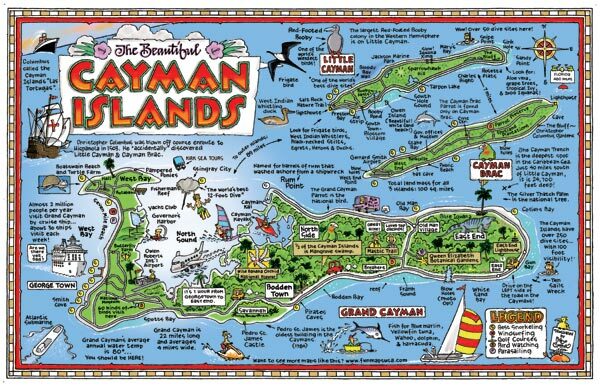 (2) A careful review of prior financial scandals reveals that neither CIMA, nor government prosecutors, caused felony criminal charges to be filed upon Cayman residents who guilt was obvious, beyond a reasonable doubt. The primary goal in the Cayman Islands appears to be the protection of the status quo, to the damage and detriment of victims, who just happen to be foreigners, for they will lose. (3) Corruption is also a factor. there have been a number of messy cases, involving official governmental corruption, or corruption at non-profits, or non-governmental organizations. Apparently, there is little or no fear, on the part of Caymanians, of arrest and prosecution for corruption. The local players in the disgusting FIFA scandal have opened the eyes of the global financial community to NGO corruption, and it was surprised to find some of the biggest offenders were from Grand Cayman. Whether the raising of Country Risk will subsequently deter foreign investors, cause some of the 600+ hedge funds to relocate, or attract unwanted attention from the Financial Action Task Force (FATF), is not known at this time, but it will certainly cause some to take a hard look at whether the risks warrant looking elsewhere for an offshore financial center. The Colegio Nacional de Abogados de Panamá, the country's national bar association, has asked that the United Nations intervene in the court system, to remove the corrupt members of the Supreme Court of Justice, and reform the system from the top down. In a public plea, the attorneys' association has requested that the UN Special Rapporteur on Judicial Independence step in, and fix the broken justice system, as Panama's internal government system is unable, or unwilling, to do so. Legal observers have been complaining for years that the Supreme Court justices can be bought, either to delay a case indefinitely, or to obtain a favorable court decision that it contrary to the rule of law. The public, having noted that the justices, most of whom were appointed by former Panamanian President Ricardo Martinelli, are interfering with his prosecution on multiple corruption and domestic spying charges, have called for the removal of all nine justices. Panama has no effective control over its judiciary, who sell justice, intentionally shelve and lose files, and do the bidding of the lawyer paying the largest bribe. The Chief Judge himself, facing multiple charges, remains on the bench, with no effective means of removing him, or his corrupt brethren. The powerful influence of Panama's powerful organized crime group, whose bribes and kickbacks are a major influence on judicial decisions, or the lack of them, is so pervasive that claimants simply cannot obtain justice in the court system, unless they participate in the payment of massive bribes and gifts. That the bar association is seeking United Nations assistance shows the level of desperation attorneys have reached, as their clients, particularly foreign investors and expats, are being effectively denied access to the court system, to redress their grievances, whether they be civil or criminal in nature. When we get to the commercial loan sphere however, the misconduct is often multiplied by two additional factors: the disposition of any escrow funds , set aside to insure that the lender does not sustain a loss, and backdoor sweetheart deals with third parties, where favored purchasers often benefit from two purchase prices. the public one and the real one. In this series, I am going to analyze one such commercial case, where a lender bank, whose perspective on ethical treatment of a borrower, and illicit benefits bestowed on the entity that ultimately purchases the foreclosed property, make an objective observer want to run directly to a law enforcement agency with the file; Be prepared to wonder who at the bank actually authorized its actions, and whether they should be imprisoned for it. Take a minute and call this New York City telephone number: (646) 202-9301. You will be connected to "consultants" operating Dundee Merchant Bank, a closed bank in the Cayman Islands. If you are a client, a smooth-talking agent will assure you that everything is fine with your investments, but there may be delays in accessing your money, whether for "compliance reasons, " or some other excuse. 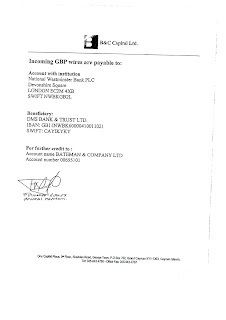 Dundee Merchant Bank, which also operates as Dundee Bank, appears in most lists of Cayman Islands-based financial institutions, as "In Liquidation," through it seems to be alive and well. Dundee is a Class B bank, meaning that its license is only valid, so long as it is a subsidiary of full-service international bank. The problem is, the bank's Canadian parent was sold off years ago, and Canadian regulators then reportedly ordered its liquidation forthwith. A review of government and court records in the Cayman Islands fails to show that Dundee Bank was ever placed into liquidation proceedings, and the regulatory authority, the Cayman Islands Monetary Authority (CIMA) took no action, then or since, This allowed the bank's officers, President Derek Buntain, and Senior vice President & Director, Sharon Lexa Lamb, to perpetrate the fiction, to their customers, that this brass-plate offshore bank was still in operation. 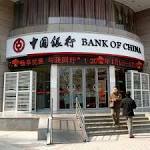 Lamb took possession of the bank's telephone numbers, and answered all queries as if the bank was still in operation. She and two other individuals, Ryan Bateman and Fernando Moto Mendes, the other two members of the fraudsters who came to be known as the Cayman Gang of Four, transferred investors' funds out of accounts at Butterfield Bank, to Bateman-controlled accounts. Bateman thereafter, explicitly claiming that the money was that of his shell company, B & C Capital, Limited, traded securities in the United States with it, through State Street Bank, in Boston, and other American commercial banks. The estimated losses exceed USD$450m. All this while, CIMA negligently ignores Dundee, even after victims have filed complaints about their missing money. It takes no action against either the bank, or its officers, notwithstanding that multiple reports assert a massive trading scheme, fraud, and breach of fiduciary relationship. CIMA, which has exclusive jurisdiction over Cayman banks, fails to discharge its legal, moral, and ethical, responsibilities under the law, and its owns regulations. Now, even after a major civil suit against the bank, and Lamb, are filed in Grand Cayman, its officers and staff members sit idle; it has not released any information for the benefits of the investing public, nor sought any remedies against Dundee Bank, which many financial professionals believe constitutes gross negligence. On wonder how long its will be before the officers at CIMA find themselves to be defendants in civil litigation in Grand Court, or being interviewed by the Royal Cayman Islands Police Service, and being asked to explain why they should not be charged with a crime. Journalists in Panama City have reported that they are being pressured by senior officials in the Government of Panama to avoid writing stories about the massive corruption situation in the country. They have also been warned to to report on the powerful organized crime group that influences nearly every aspect of the country's financial structure, especially the fact that its members are of Middle Eastern, including, Syrian, origin. Editors have cautioned their working staff journalists accordingly. Prospective investors in Panama, and bankers who are considering a financial participation in the constriction boom taking place in the country, are cautioned that local news reporting, which directly affects risk level assessment, may not reflect the true picture of the economy, crime, and the ability of government to function at acceptable levels. Additionally, news of the corrupt and dysfunctional court system, including criminal cases, and civil litigation, may be minimized, and of no assistance in the proper performance of due diligence. Criminal fraud charges were filed this week, in the Republic of Panama, against local Panama City attorney Ismael Gerli Champsaur, who allegedly stole approximately $2m in property of a former client. Gerli, who reportedly also sought to extort money from that client, who terminated his services, is also the individual who gave false witness in court against that client, Russian/Spanish businessman Vladimir Kokorev, in Las Palmas, the Canary Islands. Gerli is accused in the Panama case of fraudulently taking possession of client real estate, by illegally acquiring ownership through bearer shares of Panamanian corporations that held title to the properties. He is known to have perfected the bearer share scheme, during the time he was the attorney for the American expat, Gary Lundgren, who is known to have employed the same fraudulent technique to steal real estate from Canadians and Americans, with Gerli's advice and counsel. Gerli and Lundgren are defendants in a large number of civil suits in Panama. According to Kokorev and his lawyers, Gerli traveled to Spain, and falsely accused Kokorev of participating in a money laundering scheme, conducted through Spanish banks, to launder the proceeds of corruption of the family of the president of Equatorial Guinea, Teodoro Obiang. Spanish prosecutors reportedly later learned that his testimony had no factual basis, that he violated the attorney-client privilege, and that his statements to prosecutors were made with the intent to falsely incriminate Kokorev and his immediate family. Major financial entities in Spain are known to be behind the current efforts to charge, and ultimately convict, Vladimir Kokorev, of money laundering, and it is believed that the purpose of this bogus prosecution is to sanction, and ultimately remove, the Obiang government from office in Equatorial Guinea, for their direct financial gain. Did Gerli receive illegal compensation to bring perjured testimony against Kokorev ? We cannot say, but our investigation continues; Stay tuned. We continue to analyze the story behind the illegal actions of Spanish prosecutors, in the Canary Islands, to frame Russian businessman Vladimir Kokorev, employing money laundering charges that have no factual basis. The evidence is simply not there, but Spain believes that a conviction of Kokorev will eventually lead to the removal from office of Equatorial Guinea President Teodoro Obiang. (1) In the early days of independence, EG had insufficient funds to pay its government employees their full salaries. They received much of their compensation in kind, lands, the exclusive right to operate certain industries or businesses, and other material benefits, in lieu of cash. That is why government officials, staff members, and employees, have commercial enterprises, in addition to their official positions. Before oil brought wealth to EG, many government employees worked only three days in their official capacity, and were busy earning a living during the remaining days. Post-oil development, many of these part-time businesses, land holdings, and other assets conferred upon them made them very wealthy. There was no theft of government property or assets. (2) Therefore, EG has no conflict of interest laws on the books, Claims that ministers or relatives of the president, who themselves work in government, had illegal private industry holdings, is completely untrue. Those "moonlighting" government workers were, and are, not breaking the law. (3) Lastly, the claims that the president illegally transferred oil profits, through EG accounts at Riggs Bank, to Kokorev, as part of a money laundering conspiracy have no basis in fact. President Obiang ran his country's finances directly, when EG had a tiny economy, requiring his countersignature on checks, to control the limited treasury. and he continued to control funds payments. He did not divert funds for his own family's use, but was paying Vladimir Kokorev for maritime and fishing services that he provided for EG. As you can, there are major financial and cultural differences between the West, and Equatorial Guinea. In truth and in fact, EG is the largest funds contributor and depositor to the region's central bank, meaning that oil profits are being saved, not diverted to corrupt and greedy PEPs. Spain's carefully contrived money laundering scenario, involving Kokorev and Obiang, has no basis in fact; it is a fiction presented solely for the ultimate financial gain of powerful Spanish corporations, whio want a large piece of the EG petro-profits for themselves.